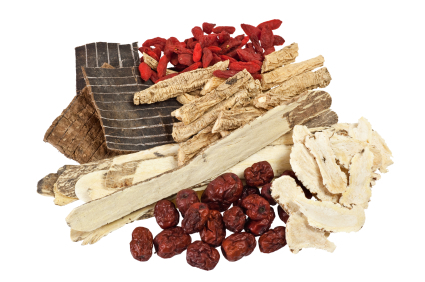 Traditional East Asian Medicine (TEAM) has developed over the last 2,500 years and includes Acupuncture, Chinese Herbal Medicine, Tui Na, Moxibustion, Cupping, and Gua Sha. All these modalities are “tools” in our diverse TEAM “toolbox.” The first treatment is comprised of approximately 45 minutes consultation and roughly 20-40 minutes treatment time. We ask patients to plan on 90 minutes for the first visit. The consultation includes discussion of the main complaint, as well as overall health history. We’ll discuss with you which “tools” we think will be most beneficial for you and your health needs. Herbs are typically prescribed and are prepared while the client is being treated. Follow-up visits are about an hour and also consist of consultation and treatment time. After discussing the client’s main concern, the client is asked to lay down on the treatment table. Several diagnostic methods are then used, including: tongue assessment (“please stick out your tongue”), pulse (felt at both wrists), and abdomen (assessed for areas of tightness or tenderness and temperature). We will then provide the Acupuncture treatment, Tui Na (a type of massage), Moxibustion (a comfortable heat treatment), Gua Sha (a scraping treatment), or Cupping (cups provide suction and help to relieve chronic tension or to loosen phlegm in the lungs), depending on your health concerns. Acupuncture is based on the assumption that Qi (“chee”) flows through channels in the body – just as water courses through a stream. These distinct meridians or pathways in the body are called Acupuncture channels or Acupuncture meridians. Acupuncture points are located in specific places along these channels. These points are used to adjust the flow of Qi in the channels, much like dams are opened or closed to manage water flow. The points used in any given treatment are determined according to your specific symptoms and overall constitution. The goal is to balance your body’s natural energy flow in these channels. Acupuncture works by mobilizing Qi, and by stimulating the proper function of muscles, nerves, vessels, glands and organs. Herbal formulas are available in a variety of forms: dried herbs are boiled into a tea; herbs are ground into a powder to make an infusion; granules to which water is added to make a tea; powders can be placed in capsules; and pill form. Cost varies per formula, but average from $10.00 to $50.00 per week. This cost is in addition to the visit fee. Herbs and supplements are not covered by insurance companies, but you may be able to use your Flexible Spending Account funds to purchase them – ask your insurance company.